Disclosure: In exchange for promoting this new menu addition, I will be provided with a complimentary prize pack for myself, as well as be able to offer one to give away with additional free product coupons, thanks to the vendor. However, all views shared are mine and mine alone. I know I am not alone in wishing fast food chains like McDonald's would offer breakfast all day, as it would make grabbing breakfast while on the go, or after running morning errands and dropping the kids off at school, or even when you wake up late and rush to head to work. An All Day Breakfast is the number one request of McDonald’s from its customers, with more than 120,000 people tweeting McDonald’s asking for breakfast throughout the day in the past year alone. I am not ashamed to admit it, but I was one of those 120,00 tweeting and asking for breakfast all day. And, now they have answered my and so many other patron's requests and will be rolling an All Day Breakfast menu starting tomorrow, which will include the following popular breakfast menu items -- that you can order ALL DAY LONG! 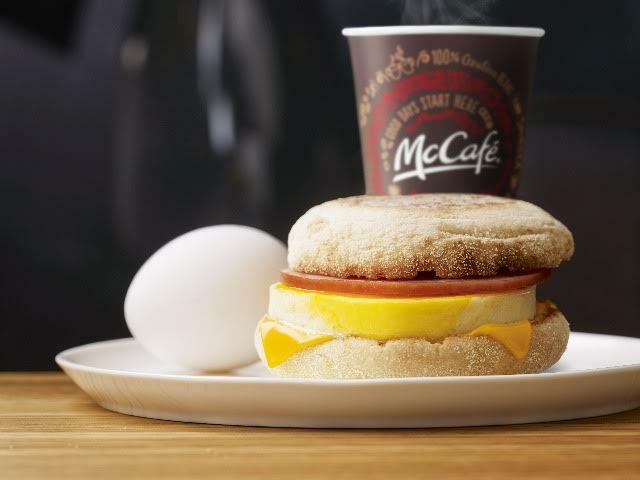 To kick off All Day Breakfast, McDonald’s customers are encouraged to join the conversation on Twitter @McD_CTWMA for a chance to win free Extra Value Meal coupons and other exciting giveaways. 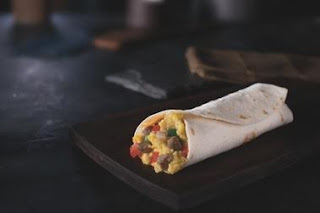 For more information about McDonald’s full line of menu choices including nutrition information visit www.McDonalds.com. And, don't forget to follow @McD_CTWMA on Twitter and Instagram for fun giveaways and new product news from your local McDonald’s. 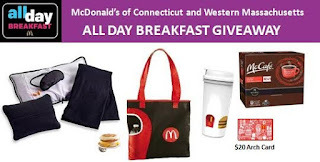 And, to celebrate the All Day Breakfast Kickoff tomorrow at McDonald's, I am excited to offer a fun giveaway, where I will be choosing one grand prize winner to win an "All Day Breakfast" Prize Pack (shown below), as well as 10 additional entrants who will win a Free All Day Breakfast Item coupon. Want a chance to win the All Day Breakfast Prize Pack or one of the 10 FREE breakfast coupons up for grabs? Then, complete the entries on the Rafflecopter form below. Good luck! The Connecticut and Western Massachusetts McDonald’s Owner/Operator Association is comprised of local McDonald’s restaurant owners who are community and industry leaders. They have a long-standing commitment to supporting educational initiatives and organizations in the communities they serve, including providing resources to promote balanced, active lifestyles to kids and nutritional information for families. For more information, follow us on Instagram or Twitter @McD_CTWMA. 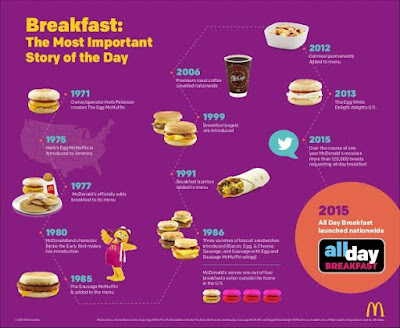 McDonald's USA, LLC, serves a variety of menu options made with quality ingredients to more than 25 million customers every day. Nearly 90 percent of McDonald's 14,000 U.S. restaurants are independently owned and operated by businessmen and women. Customers can now log online for free at approximately 11,500 participating Wi-Fi enabled McDonald's U.S. restaurants. For more information, visit www.mcdonalds.com, or follow us on Twitter @McDonalds and Facebook www.facebook.com/mcdonalds. 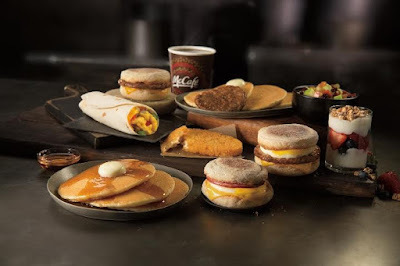 My favorite breakfast item to order from McDonalds is their hotcakes with hash browns on the side and Sausage. I love the hash browns and hotcakes!! My favorite breakfast item is the hash browns. I like the hotcakes with a side of hashbrowns.